The castle was probably built in about 1340 using stone from Hadrian's Wall. It stood on a small motte, surrounded by a curtain wall and a moat which has now been partially filled in. The visible remains are of an internal building and part of the gatehouse. It was in ruins by the end of the 16th Century. 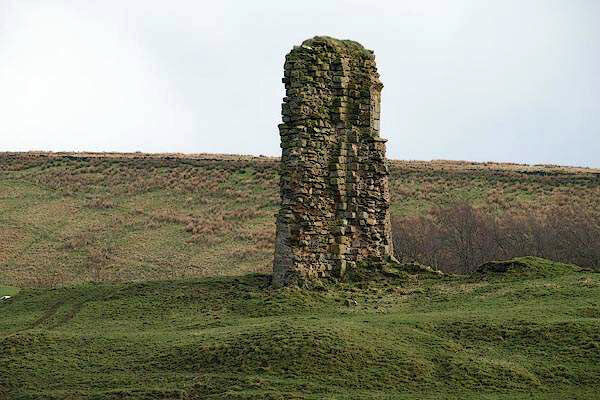 The tower was demolished at the end of the 17th Century and most of the stonework collapsed a few years after.